Nearly three-quarters of Australians are members of at least one store customer loyalty program, with Woolworths Rewards the clear leader in terms of utilisation, new figures suggest. New Roy Morgan research into the state of Australia’s loyalty programs found 49 per cent of Australians are members of the Woolworths Rewards (formerly Everyday rewards) program, followed by the Coles Flybuys program (45 per cent). It also showed 21 per cent belong to Myer’s MyerOne customer loyalty program, and 18 per cent to Priceline’s Sister Club. On the fashion front, customer loyalty programs from womenswear chain, Millers, was a notable loyalty winner with 13 per cent coverage across respondents, while Dan Murphy’s had 11 per cent. In total, 71 per cent of those surveyed belonged to at least one loyalty program. In terms of utilisation, Woolworths Rewards proved the most effective, with 78.2 per cent of shoppers saying they shop at a Woolworths/Safeway supermarket in any given four weeks, and 61.8 per cent also shop at the Woolworths owned liquor chain, BWS. This is despite Woolworths suffering consumer backlash for changes made to its loyalty program 12 months ago, which saw it drop the Everyday Rewards moniker and points-based scheme in favour of Woolworths Rewards and earning shopper dollars. In August, Woolworths did a backflip, reinstating the points-based scheme on every dollar spent. Flybuys cards are also being used regularly, with 69.2 per cent of respondents shopping at Coles supermarkets over a four-week period. Just over six in 10 also shop at partner liquor chain, Liquorland, and members are frequently shopping at Kmart (54.4 per cent), Target (54.3 per cent) and 1st Choice (53.6 per cent). At least half of MyerOne and Priceline customers are also members of the loyalty programs. 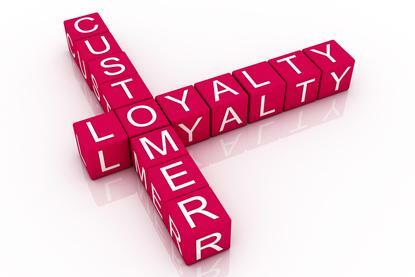 “A large membership is obviously important for a store’s customer loyalty program, but if members are inactive and don’t actually shop at the store/s in question then it can’t really be considered successful,” Roy Morgan Research industry communications director, Norman Morris, commented. “Woolworths Rewards is a high-profile example of an extremely popular loyalty program whose members do form the majority of customers at Woolworths and BWS. And while it is clear retailers can benefit from the consumer intelligence provided by a large loyalty program, Norris urged them to focus on giving consumers good reasons to join and participate. The results were based on a survey of more than 7000 Australians over 14 years of age between January and June 2016. Recent customer loyalty program innovations in the Australian market include Virgin's decision to allow customers to us Velocity frequent flyer points as currency at BP petrol stations nationally.